Google Apps provides reliable, secure online applications wherever you work. 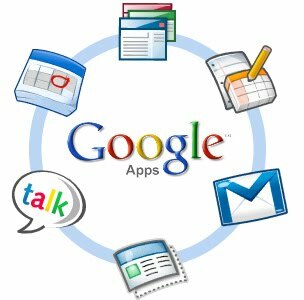 Google Apps includes e-mail, calendaring, contacts service, docs (document, spreadsheet, and presentation), web sites, groups, instant messaging, and contacts services, and excellent mobile integration. Further, it does this at a low cost and with no infrastructure required by the customer. Google Apps is a compelling platform for cloud-based collaboration with an enterprise edition priced at $50 per user per year (free for educational and charitable organizations), with no software, hardware, data center, upgrade, expansion, or system administration costs, but how do you get there from where you are now? Trenchant Consulting can ensure a smooth transition from your existing platform (e.g. Microsoft Exchange, Lotus Notes, Novell GroupWise, and Sun Messaging) to Google Apps. We can tune Google Apps to your specific needs, configure mail routing to ensure a smooth transition, and train your users to get up to speed quickly. Lead architect for the design, deployment, and migration of a multi-national luxury products provider to Google Apps. Lead architect for the design, deployment, and migration of a split delivery system for the students, faculty, and staff at a private university. Lead architect for the design, deployment, and migration of a charitable organization to Google Apps. Lead architect for the design and deployment of a Google Apps pilot for a municipality. Lead architect for the design, deployment, and migration of several technology and professional services firms.